We use a number of tools to help clients grow their businesses online. You can find a list and brief description of some of the tools we use every day below. These may help you grow your business. If a tool has a free trial or discount available, then we have also highlighted this below. We have used the paid for Google Apps service for the last 3 years to run our email, share documents, build web forms, sync calendars and much more… It is advisable to run your email separately from your website just in case your hosting crashes, and you can’t go wrong using Google. We have used Getresponse for over 7 years and in that time have build and managed email list and autoresponder courses for ourselves and our clients. In fact, if you are on any of our mailing lists or have registered on our site you will have come into contact with Getresponse. Having a mailing list is critical to build trust and drive revenue from your site visitors. Getresponse has built in form generators and easy to use templates so you can create nice looking forms and response emails to impress. They are now offering a free 30 day trial so sign up below. Active Campaign combines simple email marketing management (so building and managing an email list), with very complex marketing automation such as engagement and followups, and also includes a CRM system so you can see and store information in one place, all the activity you are having with a client or potential customer. It is very easy to use and setup. They are offering a free 14 day trial so sign up below. Siteground are a low cost solution that specialise in hosting WordPress websites. While a US company, they now have servers in the UK which means it is easier to recommend them to Finance and Insurance companies looking to host their sites in the UK. One of the tools we use every single day is SEMRush. It is our go-to search engine analytical and research tool. We can run client reports, look at the competition and see what they are doing. 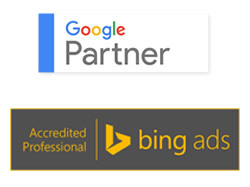 Not only with regard search engine rankings, but also their pay per click spends and display advertising. We prefer this tool over Moz, Raven and Ahrefs. You can set up reports to run weekly or monthly and have PDFs delivered automatically via email on demand. ResponseSuite uses the intelligence of surveys to get more of your customers buying more of your products, more often. It is a survey tool but not just for gathering data.It works well for marketers looking better serve their customer base. The system allows you to grow your email lists or lead generation activities.Surveys can be branded. Depending on the survey answers, the user can be sent to different thank you pages.This means you can deliver different offers to different self selecting groups – automatically. It integrates and can use the Google and Facebook pixel tracking so you can really tie this into all your marketing activity. If you are buying and generating traffic, then you need to try everything you can to get that traffic to convert as efficiently as possible. Improvely allows you to track and record any visit and will assign it to the source it came from. It also builds a picture of each client interaction. It also allows you to combine all of you traffic sources into one dashboard so you can track social media ads, PPC ads, native advertising and any content discovery. If you are buying and generating traffic, then you need to try everything you can to get that traffic to convert. With Optimonk, you can build you own internal retargetting system to try and get people to transact with you before they leave your site. A huge number of options and controls give you a vast number of ways to get people to buy or get them into your mailing list. We use tools to automate a base level number of messages and updates, as well as control our social media activity from one online control panel. We previously used Hootsuite and were university level members but since we found UK based Sendible we made the switch and have not regretted it for a minute. We were even featured as a case study for them. If you are struggling to manager multiple accounts on multiple platforms, Sendible can help sort this all out for you. Simply type a status update, attach any imagery or links etc, and then tick the platforms to add and click send. Job done! We use Canva to create images for our client social media imagery as well as blog headers and even infographics. One way we got to grips with Canva quickly was to use Chris McCluckie course “Crush it with Canva”. Thanks to Chris, we use Canva nearly every day now. Chris’s course is a fantastic way to get your social media imagery working for you. And this is mainly done with the free account option on Canva. ThriveLeads is part of the ThriveTheme family and can be used as a standalone plugin to help you build your email and lead databases. There is a huge number of ways to promote and build your email lists using ThriveLeads and we recommend you taker a look. They are simple to use and support requests have been dealt with online quickly. It also integrates with a large number of autoresponders to help automate your marketing once you have added that name to your database. From our point of view this is the daddy of form builders using WordPress. This plugin has more options that you can possibly use but can allow you to build detailed forms over multiple pages if need be. The contents can then be emailed to you, stored in the WordPress database for backup and also the enquirer can get an autoresponder email back to say you have received their message. This is the only form plugin you will ever need. The forms on this site are all gravity forms. AffiliateWP is a great way to add affiliate programme tracking functionality to your website without the major cost of joining an affiliate network. This works extremely well for those of you looking to pay on a cost per lead or cost per click basis. With most insurance and finance companies who offer buy online facilities via a third party provider affiliate tracking is something that gets costly to have inserted into a backend system.That is why we recommended the lead or click model in this instance as it is easy to track internally. The SNAP plugin allows you to automatically share content as it is published on your site with your main social media accounts. The free version allows you to share with two accounts, but the paid for version has a huge number of accounts you can share and spread your content to. It also works with delayed and scheduled posts. SNAP allows you to forget to post on your social media by doing it for you. Highly recommended. SoliloquyWP is a slider plugin which allows you to create easily responsive sliders for your webpages. They work on any device and are fast loading. This could be a great plugin to use if you want to add a slider to theme that doesn’t use one but are not able to add the code yourself. If you are looking for a new theme for a WordPress project, the themes over at Solostream are clean, crisp, easy to use and are responsive so they will work with multiple devices. These themes work well for clients who are looking to build micro sites or other standalone sites to support their marketing efforts in a low cost way. WP Bold, WP Radiance WP Brilliance and WP Clear are all firm favourites. The site you are currently reading is built on the ThriveThemes platform as it meets the needs of our lead generation, and multi device responsiveness. It has a lead system built in as well as a number of clever Call to Action boxes that can be added to the site easily. You can add on their content builder which allows you to build very complex looking pages easily with a simple drag and drop facility. They also come with landing page templates for pay per click and other marketing activity. They are simple to use and support requests have been dealt with online quickly. The other theme company we use a lot of projects is StudioPress. StudioPress run a slightly different way to other theme companies in that they have build their own framework, Genesis. A framework, which you upload at the same time as the theme, means that as the core is updated, it doesn’t actually effect the design or your website, and those changes are filtered into your theme files keeping them up to date and consistent with the ever changing requirements of the Internet.